MOMCREW is a coordinating agency for post-partum doulas in and around Tokyo, Japan. Since its establishment in December 2015, our mission is to be “on the same boat” with all the mothers who seek help and support mentally, physically, and informationally before and after giving birth (usually up until the time when the child enters school). MOMCREW’s goal is to help mothers stay happy and smile throughout the pregnancy and postpartum period, which makes it easier for her loved ones in the family to also be happy. As some refer doula as a mother to the mother, our work includes house-cleaning, doing laundry, help with the newborn, preparing nutritious meals that can help recovering the maternal body and to produce breast milk. Doulas also provide mental and informational support to mothers, encourage them and their families to seek medical or other professional care when needed, and be a source of local community resources. We believe that giving birth away from your homeland should not make you give up on your ideal birth. We are here to help and support in any way we can to ensure that you have a wonderful birth and postpartum experience in Japan, regardless of your circumstance being aboard and/or away from your family. 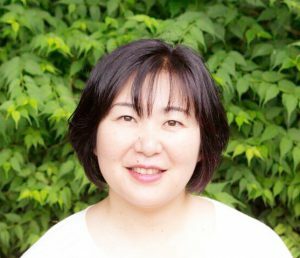 In 2017 to 2018, Yumiko Akahoshi, a founder and representative director of the MOMCREW had conducted a research on postpartum doulas in Japan for her master’s thesis at the Rikkyo University. Her research examined the effect of postpartum doulas on women after giving birth. The findings showed that women are less likely to suffer from a postpartum depression when they had the support from postpartum doulas (11.4% with doula, 20.0% without doula); they are more likely to breast-feed their baby for the desired period of time (82.1% with doula, 69.1% without doula). There are many other studies conducted all over the world that also prove doula’s positive impact on the new family. If you have any questions on how you can benefit from having a postpartum doula, please feel free to contact us from the inquiry form here. *Please note that although the doulas in MOMCREW receive a basic training for English communication, the services are primarily provided in Japanese. Postpartum Planning includes pretty much everything about your postpartum, including how you want to spend your everyday life, how to share the housework with your partner, or how you would want to be as a new family. It is like a postpartum version of your birth plan. For the planning, we first ask around 50 questions regarding your family’s circumstances, including the amount of help and support you can expect to get from your friends and family after birth, about the elder siblings, etc. As a father and a mother to your child, how would you like to live your new life and be a parent? What would you plan for your child’s future? We can help you clarify what you seek and plan your life with the newborn baby. After the careful planning process, we will then make suggestions on how much support you would need from our CREW. Although most people recognize the difficulty of giving birth, what they often miss is the fact that life after the birth can also be difficult for many women and their family. There will be a tremendous changes in mother’s body and hormonal balance, and many will suffer from tiredness and pressure from unfamiliar routines of child caring, including breastfeeding and changing diapers every two to three hours. It is the time when the mothers need to rest the most, however, many mothers are forced to raise their baby by themselves without enough support and help, which can lead to a postpartum depression or in the worst case, a child abuse. CREW will be there to listen, and support both mentally and physically. We can cook a Japanese-style meal that is good for postpartum body, or prepare some dishes for latter eating. We can prepare a meal of your request, as long as we have the recipe. The cooking can be done for father or elder siblings. Also, if anyone is allergic to eggs, milk or any other foods, or have preferences for sugar or oils, we can prepare correspondingly. Vacuuming and mopping the floor, making bed, cleaning bathroom, toilet, balcony, entrance, or garden, or doing and hanging the laundry outside, fold and put away. Any other services that you may request, including drying the futon outside. Baby’s care: Bathing, carrying, changing diapers, milk, play. Elder sibling’s care: Playing, taking kid(s) to and from the childcare center or kindergarten, or any other services that you may request. *Above fees include transportation fee, excluding tax. ◆Having no support during the first 8 weeks postpartum. ◆Wanting to have a good rest to recover your body. ◆Past 8 weeks to up to 4 months after giving birth. Currently our services are offered in the following areas of Tokyo, Saitama, Chiba and Kanagawa prefectures, Japan. We are seeking to expand our areas, so even if you live outside the following area, please contact us. In addition to the doula service, the MOMCREW offers other special services that may help mothers go through the maternity and nursing period. The special services are available only upon request. If you are interested or would like to know more details, please contact us at the inquiry here. We have a number of certified therapists who can visit your house and do a full aroma body treatment of your request. In Jakuseki Reflexology, the practitioner puts pressure on 64 reflex points on your body, which results in the relaxation and improved state of physical body. Before and/or after birth, you may face a difficulty making time for your hair salon. This service offers you a professional hair cut right at your home. We have chosen an organic ingredient that includes 100% natural henna for a healthy hair and scalp. Due to its high detoxification effect, henna can help eliminate harmful substancea and wastea out of your body so that the cells can rejuvenate, resulting in a shiny, resilient, healthy hair. The word mehndi refers to “applying henna to your skin” or “painting designs on your skin by henna” in Hindi. Dying skin with the henna plant means good luck in many areas of the world, including south and middle east Asia and African countries. We recommend Mehndi Art to those who wish to create a beautiful memory of your pregnancy and to pray for the safe delivery of the baby. ●50% of the total fee will be charged if cancelled after 5PM on the 5 days before the service day. ●100% of the total fee will be charged if cancelled after 5PM on 2 days before the service day. Please note that to provide a quality service and comfort and to protect your personal information, we take the membership system. We appreciate your understanding and cooperation in advance. Should you require any assistance on the birth in Japan, please do not hesitate to contact us at the inquiry here. Example: Hospitals or birth centers that frequently accept mothers from aboard, services that you may use to help with your postpartum other than doula, babysitter for your elder siblings, etc. Copyright © 産後プランニングサービス株式会社 All rights reserved.